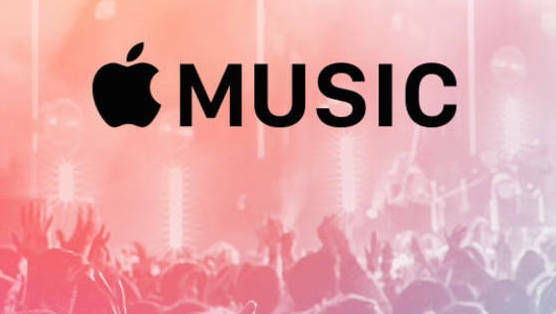 The much-anticipated Apple Music was finally released to the public last week. So, in order to really test out the new platform, I have listened to music exclusively through Apple Music for the last seven days. I came away with a lot of thoughts on the service, many of them good, many of them not so good. Here’s what I learned. One huge obvious benefit to this service is that it is fully integrated with iOS and all iOS devices. This not only gives millions of people an extremely easy way to sign up, but it also makes it much easier to use. Instead of having to get used to the UI and design of a third-party service, Apple Music fits comfortably into the Apple ecosystem, meaning if you own an Apple device, you can pretty easily figure out how to use it. Also, while iTunes is no longer on the cutting edge of the music industry, dozens of millions of people still use it and still have large music libraries. Apple Music offers an extremely easy and simple way for those people to transition over to a streaming service in a graceful way without forgoing their entire existing music collection. By letting users upload up to 25,000 songs to the Apple Music cloud (rumors say that this will be upped to 100,000 later this year), you can essentially combine your downloaded library with your streaming favorites in one place. As with just about every Apple product, the design is really nice to look at. The company’s design team is among the best in the world and always thinks first about user experience. While the design here (mobile and desktop) is not jaw-droopingly beautiful like most of their hardware products, the clean design is intuitive, and very nice to look at for prolonged periods of time. While I found the mobile UI a bit crowded and hard to navigate, the desktop version was much better. Just having the extra screen space helped the design come through and not feel overwhelming. Still, however, it is definitely difficult to find your way back somewhere if you’ve lost your way. For example, the recommended music videos are found in the ‘New’ section and not in the ‘For You’ tab. And within each tab, it is tough to see why things are ordered the way they are. Songs found on Connect are displayed above Hot Albums, etc. Beats 1, the universal 24/7 radio station, is actually pretty fun to have. I was skeptical at first, but I found it nice to check on every once and a while and see if they were playing something interesting. If so, it was really handy to be able to immediately add a song to My Music or to a playlist, straight from the radio. And yes, it is great to be able to stream 1989 and The Chronic on the same service. Overall, the service is quite good, and there’s nothing major that is missing. But after using Apple Music day in and day out, there are quite a few little things that don’t seem thought through fully. When Apple purchased Beats for $3 billion last year, it was pretty well known that they would use Beats Music as a foundation to build up for Apple Music. Yet, if you recall, Beats Music was a huge failure. Even with support from celebrities and a huge marketing effort, they had a lot of trouble attracting users. So you understand my surprise when I open up Apple Music for the first time and the first screen I see is a direct copy of Beats Music. Why copy a service that was universally panned? In order to determine what music I like, a bunch of bubbles appear on the screen with genre names on them. I’m supposed to click on the ones I like and hold the ones I don’t to make them disappear. While the bubbles are cute, there are definitely better ways to determine my tastes – ones that don’t ask me if I like ‘alternative’ music. What really is alternative anyway? After the obligatory listen to Taylor Swift and the service’s few exclusive songs, I dug in to the playlists. While there are plenty of playlists to peruse on Apple Music, I had a really hard time finding one that was longer than 20 songs. I set a playlist up to play while I cooked a large dinner, and it started repeating songs an hour in. The curation was solid, and in some cases really great, but there was no way to return to a playlist I liked and hear anything different. In contrast, Spotify’s playlists are regularly over 100 songs and Google Play’s Songza playlist library consists of thousands of playlists, all at least three hours long. Like Spotify, next to every song, album, or artist name is a small three dot logo, to take you to a menu of options. Oddly, these options were almost always different. For some songs or albums, I could add them to My Music, while when I viewed the same material from other pages, I only had the option to share a link. This seems like a simple oversight, but is very indicative of the many small annoyances I found. One of the ways I really wanted to test out Apple Music was by building my queue. Whether it’s New Music Tuesday or I have some work to do, I always like to spend a few minutes loading up my queue with a few albums I’m eager to hear, and then minimizing the service and focusing on what I have to do. With Apple Music, building a queue is extremely time consuming and not intuitive at all. Scrolling through the ‘New’ or ‘For You’ sections, for some odd reason, I cannot add any song to my queue from that page – for some songs (I could not figure out a pattern) I have to click through to the song’s page, and then go back right after. Also, the biggest miss here is that I can only sometimes add an entire album to the queue at once. I cannot think of a good reason for this, but it made my queue take quite a long time to make. Finally, I gave Connect the benefit of the doubt because I was curious, but the music-based social media was everything we feared – a rehash of Ping. At launch, only three artists popped up on my Connect tab, posting pictures of shows and songs they liked. While it is definitely fun to see what music your favorite artists are listening to, Ping failed, so I don’t see why this won’t as well. After this week, I know my way around Apple Music, though it seems like it would take a casual user quite a while to get used to the service’s many intricacies. While this trial run didn’t quite convince me to switch over from Spotify, I think Apple Music is a fine product, and one that will hopefully continue to improve over time.